Grace Mae Debler, daughter of Lizzie (Garland) and Jessie Overton, was born October 11, 1909, on a farm ten miles south of El Dorado Springs. She passed away January 7, 2016, at 106 years of age in the Community Springs Care Center with her daughter and granddaughter by her side. Grace lived the last ten years in the Community Springs Care Center where she became a beloved fixture with her bright mind, loving concern for others, and quick wit. Grace loved to shop and she loved people. She was always ready with a joke to make you laugh. She attended school at White Hall, Nevada, and El Dorado Springs. Grace was preceded in death by her husband of 50 years, Raymond Albert Debler, her mother, Lizzie, her father, Jessie, and four brothers: Willie, Irvin, Pearl, and Harley. She leaves behind to mourn her passing her only daughter Wanda Kinnamon; her two grandchildren, Kay Rethemeyer and her husband Robert of Lee’s Summit, Mo., and Jack R. Kinnamon of El Dorado Springs, Mo. ; her two great-grand children, Robin Knowles and husband, William, of Friendswood, Texas, and Rustin Rethemeyer and wife Jen of Chicago, Illinois; and two great-great-grandchildren, Alyssa and Blake Knowles of Friendswood, Texas. She also leaves many nieces and nephews and a host of dear friends. Grace was a member of the First Baptist Church of El Dorado Springs. She had been unable to attend church for many years, but she thoroughly enjoyed the wonderful visits from her “church” people and listening on the radio. Grace spent most of her life in and around El Dorado Springs. It was home. Raymond was a road contractor, and they spent months and years working away from El Dorado Springs, where they always made new friends and opened their place for friends and family to visit and vacation. There were many fishing trips, card games and laughs. She was a wonderful friend and neighbor always ready to lend a hand and join in a laugh or a shopping trip. 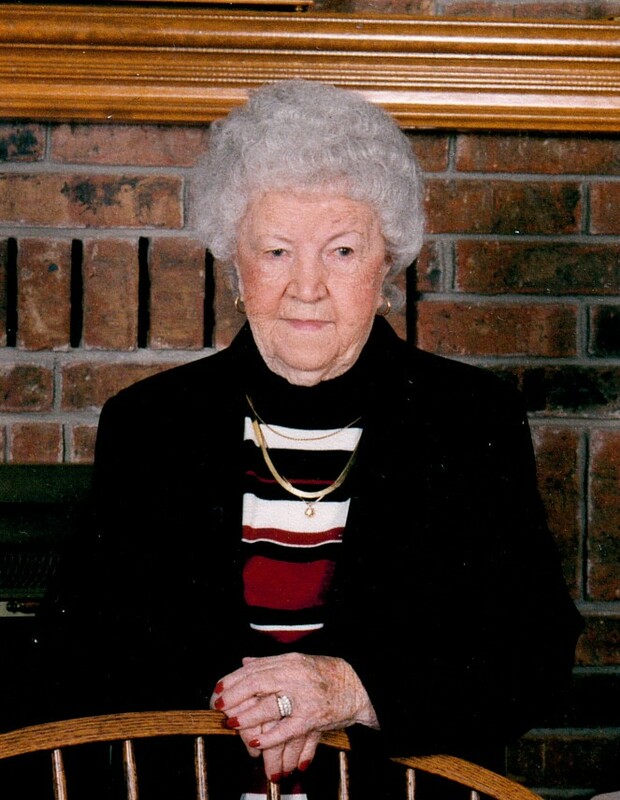 Funeral services for Grace Debler will be held on Monday, January 11, 2016, at 2:00 p.m. at Bland-Hackleman Funeral Home. The family will receive friends at the funeral home from 1:00 p.m. until service time. Interment will follow in the El Dorado Springs City Cemetery under the direction of Bland-Hackleman Funeral Home. Pallbearers are: Ed Morlan, Bob Rethemeyer, Rustin Rethemeyer, Jerry Overton, Jarod Dutcher, Gary Collins, and Dale Stark. Honorary pallbearers are: Silvia Overton, Sherry Morlan, Joy Mattingly, Vadena Julian, Ruth Overton, Verda Mitchell, Linda Hodge, Sharon Barger, Janice Stark, Phyllis Bradley, Teresa Simpson, Betty Gordon, and Dorothy Hamby.